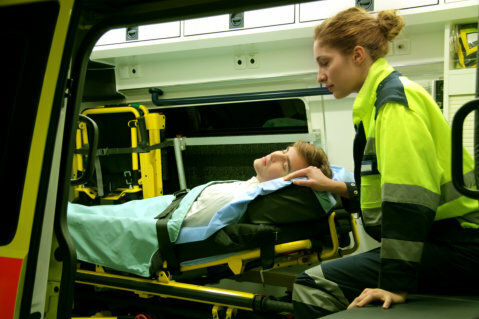 Getting Non-emergency medical Transportation in Texas isn’t the easiest thing in the world. Regular taxi service or a ride-sharing app may do in a pinch, but they aren’t the ideal solutions for such a problem. After all, there are factors that may preclude someone from using such services. People bleed. People who have wounds tend to bleed more than average. The thing is, drivers of taxis and other vehicles don’t really appreciate it when their riders bleed all over their seats. This can be true for ride-sharing apps where the drivers can rate the riders in the same way that the riders can rate the drivers. This is why going to a company that offers Medical Transportation Services is the ideal path to take. Not only are the drivers not going to complain about the bleeding, but they also expect it to some degree and are prepared to deal with it accordingly. Getting into a regular car is easy enough — or at least it is for most people. It may not be the case for someone who is hurting in some way. They may not be able to slide into a sedan or climb into a truck, so it’s going to be harder for them. Of course, putting a patient through that difficulty is unnecessary, not when companies like Force EMS are ready and able to provide for a wide variety of medical transportation options. Being in a situation where you’re not physically at your best is inconvenient at the best of times and agonizing at the worst of times. But there are little things that can be done to make it easier. Getting to and from where you need to be isn’t a hassle that you need to deal with, and you don’t have to; there are options available to deal with it for you. This entry was posted in Medical Transportation and tagged Patient, Service, Transporattion. Bookmark the permalink.